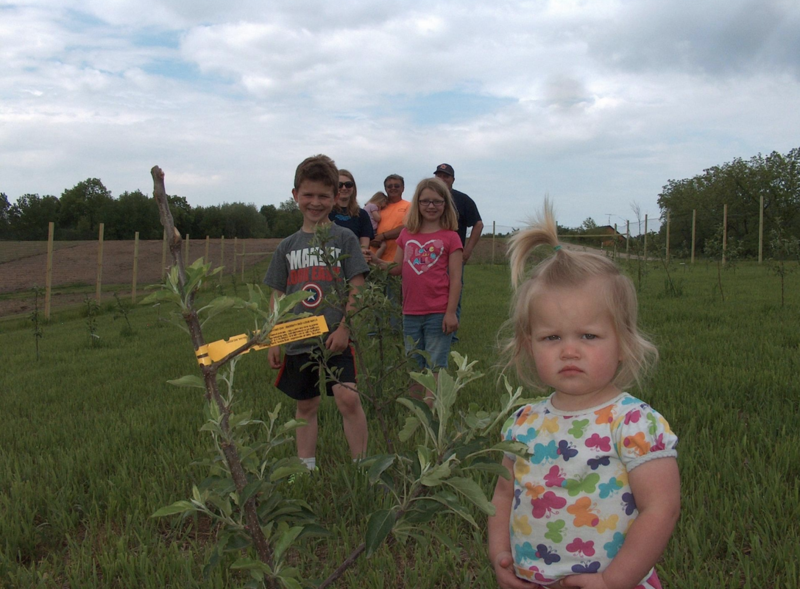 ​Elizabeth family rediscovers its farming roots. ﻿Michael and Jonna live in Elizabeth with their four children, Cora (13), Damon (11), Ella (8) and Anna (5). Michael is a high school history teacher at River Ridge High School in Hanover, IL. He is also the Mayor of Elizabeth, IL. Rick and Peg live on the farm outside of Elizabeth, up the hill from the origin﻿al farm. Rick is a retired postmaster and Peg is a nurse practitioner at Midwest Medical Center in Galena, IL.